From corporate careers in California to farming in Southern Oregon’s Applegate Valley, just 50 miles north of the Golden State’s line, Blair Smith and Marcey Kelley staked their claim on an apple orchard and a new life. Five arduous and tasking years later, the couple and their family invested in a cider press and began to make non-alcoholic cider, with hard cider following shortly after in their Apple Outlaw ciders. 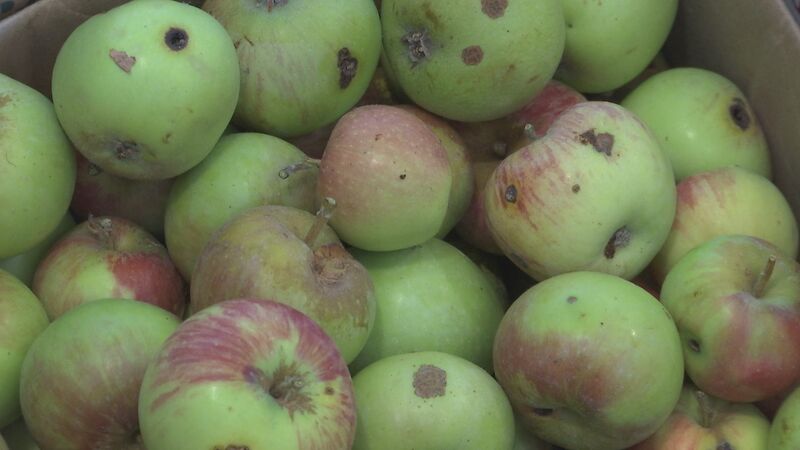 Farming organically, stewardship to the land and the community is a priority to Apple Outlaw, which donates more than 1,000 pounds of apples to the Josephine County Food bank, and boxes of apples and cider to a number of local causes. Giving back to the consumer in the bottle form, Apple Outlaw promises an uncompromising cider—like their Rabid Dry cider. On a base of Gravenstein, McIntosh and Ginger Gold apples, this is a cider for the “experienced outlaw,” with tannin, bright acid and dry, bold apple fruit. Full-bodied with a vibrant apple mid-palate, the finish is broad with crisp and clear fruit.